Image without Maintenance Shed overlay. 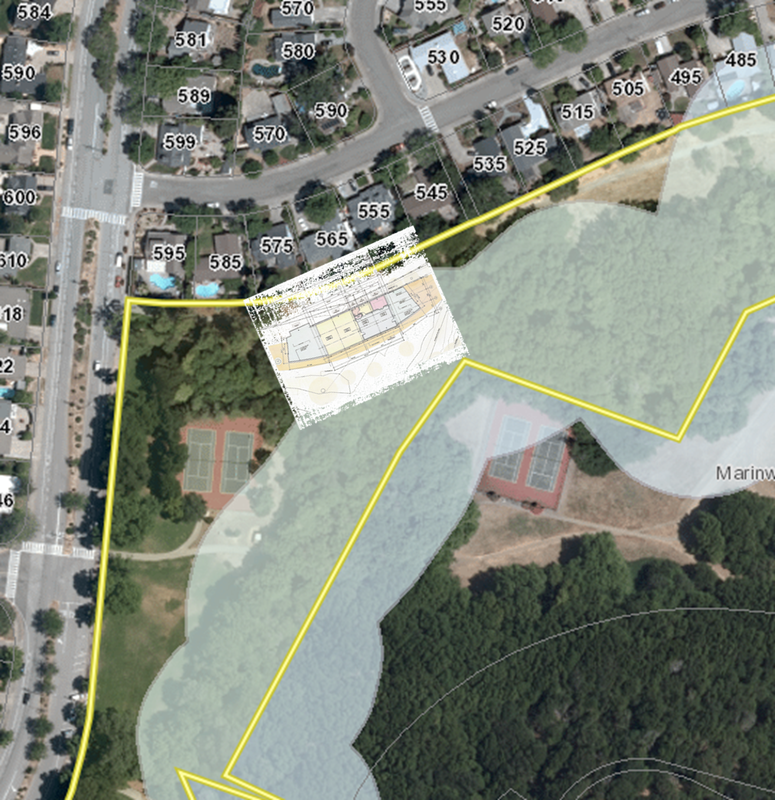 Option 3, conceived by Marinwood CSD Director Irv Schwartz in 2017 is almost 100% outside the stream conservation area and does not block access to the nature path. It fits directly behind 575 Quietwood Drive in the green area. This is clearly the "Environmentally Superior" Option. Why has Marinwood CSD rejected this without public explanation?